After 42 games in the World Cup, Rediff.com's Bikash Mohapatra picks his World Cup Dream XI. And, guess what, without bias, three Indians find a place in the side. Who would feature in your World XI? And why? Please do tell us at the end of this feature. The opening stage of the World Cup is over. Even though there were a few surprises, the eight teams that made it to the knock-out stage are on expected lines. As the teams battle it out in the quarter-finals, I thought it would be a good time to play super selector and choose my World XI, based on performances in the 42 games played so far. To streamline the process, I have excluded players from the Associate nations like Ryan ten Doeschate and Kevin O'Brien who impressed nonetheless. This Dream XI includes players based on form and performance in the World Cup, and not their previous reputations. A month short of his 38th birthday, Sachin has amassed 326 runs from the six matches he played this World Cup. That includes centuries against England and South Africa, the toughest teams India played in its group. He fits into any World XI on every count. We hope he scores that hundredth hundred soon! 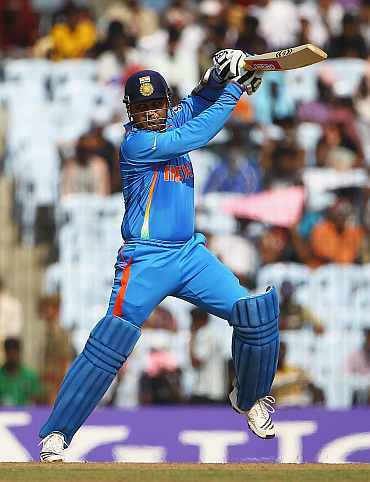 Injury or not, a World XI has to have a destructive opener like Virender Sehwag. His spectacular 175 in the opening game against Bangladesh in Mirpur was an instance of what happens when Viru cuts loose. He has 327 runs in five innings (Average: 65.40), enough to command a place at the top of the playing eleven. For the opening slots, Sachin and Viru it is. Sri Lanka's skipper is the success story of this World Cup. 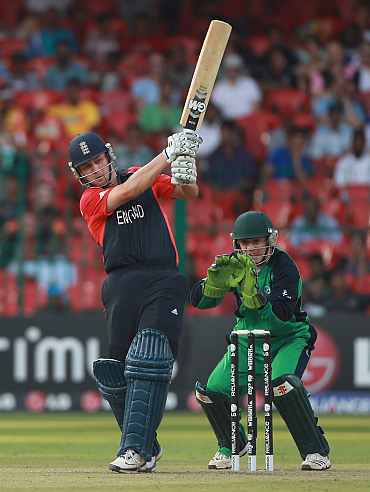 Besides leading his team from the front, he has delivered with the bat, going past 9,000 ODI runs in the process. The stylish left-hander is the highest scorer in the tournament so far, aggregating 363 runs from six innings (Average: 121). And who can bet against Kumar adding a lot more to that? England may have flattered to deceive at times during this World Cup, but Jonathan Trott has done his growing reputation no harm with his consistency. With 336 runs from six innings (Average: 56), including four half centuries, Trott has delivered when his side needed it most. England have a tough game on Sunday -- they need to defeat Sri Lanka -- and much will depend on Jonathan. He has to continue performing to perfection. The ICC World ODI Player of the Year is a class act. 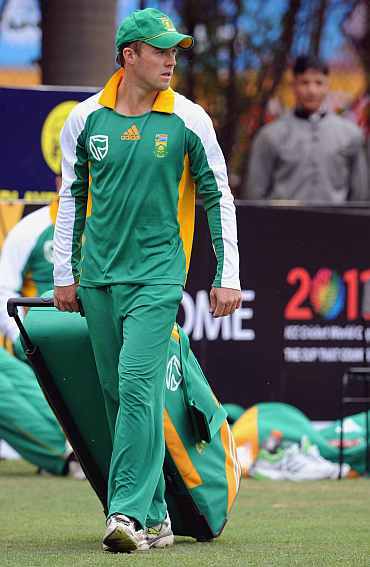 Abraham Benjamin de Villiers offers multiple utility as a player. As a batsman, he can be spectacular. If the need arises, he can share the wicket-keeping responsibilities with Sanga in my Dream XI. The 27-year-old South African has scored 318 runs from four innings (Average: 106). He is a high value addition to any side. The man is in the form of his life. Having scored 284 runs in five innings (Average: 94.66) and captured nine wickets, Yuvi has given a thundering reply to all those who had declared he was finished. At this stage, he is the leading contender for the Player-of-the-World Cup award. An aggregate of 265 runs from five innings (Average: 53), including three half centuries, and a few wickets makes Watson the first Aussie in my Dream XI. He has 17 wickets in six matches! Shahid is the highest wicket-taker in the tournament so far. Pakistan's captain may have not exploded with the bat yet, but he has had a wonderful run with the ball. Most observers had felt Swann, Vettori and Harbhajan would make a mark in this competition with their spin. Shahid has out-tweaked Graeme, Daniel and Bhajji by far. 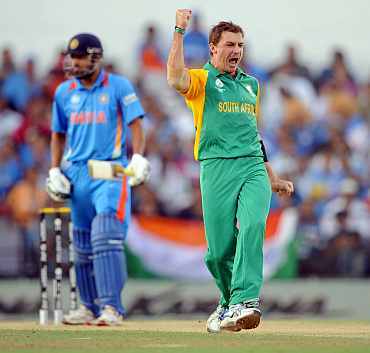 Watching Brett bowl against Pakistan -- he took four wickets in the game -- convinced me that he is back to his best. 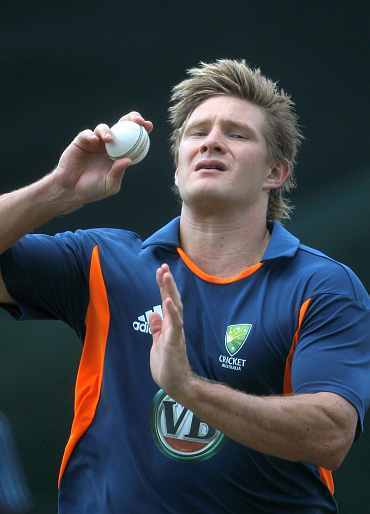 The Australian ace has bowled well this World Cup, taking 12 wickets (Average: 15.83) from six matches. And do remember, he is coming back from seasons of injury. Dale is such a rarity, a truly great fast bowler. With 10 wickets in five matches, including 5 for 50 against India in Nagpur -- his first fiver in ODIs -- the South African paceman has had a good World Cup. Dale and Brett would open the bowling for my Dream XI. Bring on the best batting line-up, folks! Statistics corroborate my decision to include the South African spinner. 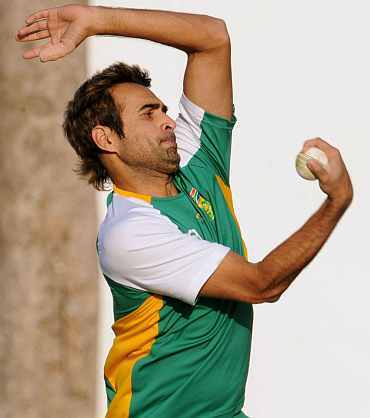 Imran has snapped 12 wickets in the four games he has featured in. The 31-year-old Pakistan-born player made a memorable World Cup debut against the West Indies -- claiming four key wickets (10-1-41-4) -- and has impressed on the biggest stage with his effective control and guile. For the specialist spinner's slot, Imran is a cinch. Who would feature in your World XI? And why? Please tell us at the end of this feature. Will Kamran Akmal play for Windies? MVP: It could be Yuvraj vs Afridi!